Under the tanned creamy head, shades of fire roasted corn and burnt sugar blend mysteriously with darker tones of chocolate, strong coffee and licorice. 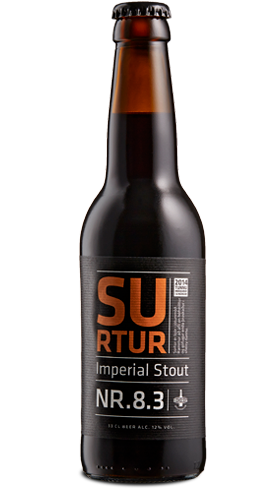 This edition of Surtur was aged in sherry casks for six months, lending it a tingling acidity with sophisticated tones of sherry. The beer is unfiltered and will age with dignity in a dark, cool place up until the time of Ragnarök.